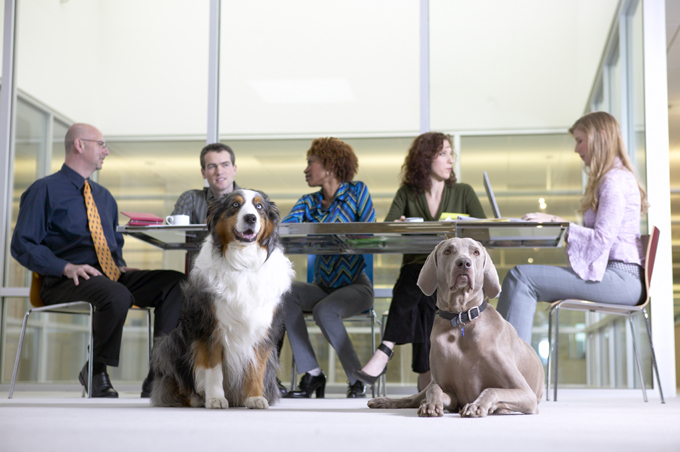 Business goes to the dogs on Friday June 22nd as workplaces across the country celebrate the annual Take Your Dog to Work Day. The temporary office canines won’t be barking out orders to employees or wagging approval after a presentation, although some might be helping the receptionist greet visitors. The day is an opportunity to celebrate dogs’ special abilities to reduce stress in the workplace and increase job satisfaction, skills confirmed in a study published in 2012 by Virginia Commonwealth University. But before you put a tie around his neck and print out an employee badge for Fido, take some common-sense steps to help the workday go smoothly for all involved. 1. Make sure coworkers are on board with the idea. 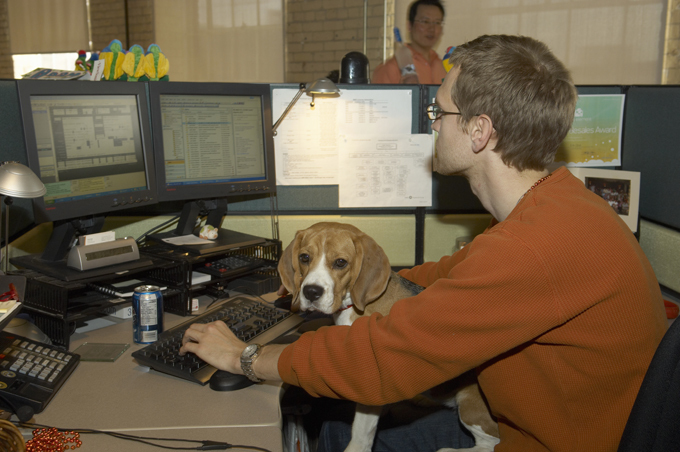 Even if Fido will be staying in your office or cubicle, his presence might give pause to people who are allergic to or afraid of dogs. At the Naples, Marco Island, and Everglades Convention and Visitors Bureau in Naples, Fla., Executive Director Jack Wert, who is bringing his two Miniature Pinschers to work, says participating employees are expected to provide for all their dogs’ needs: food and water dishes, toys, treats, a bed, poop bags, or anything else the dog might need during the day. 3. Groom Fidio as if he were going in for a job interview. Give him a bath, brush his coat until it gleams, and brush his teeth so he has nice breath when he meets the boss. To prevent Fido from chewing on cords, tipping over the trash, or swallowing that thumb drive with the report that’s due tomorrow, prepare your area. 5. Do a good deed for dogs. Have a raffle to benefit your local shelter or bring in animal health and adoption groups to provide information about pets and services. 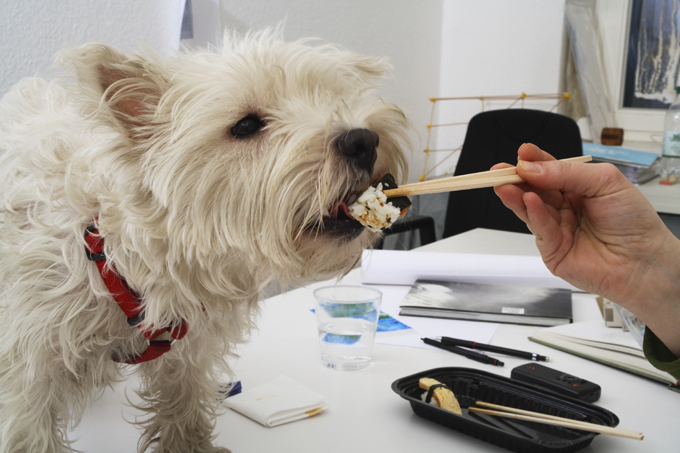 Even people who don’t bring in their pets enjoy the opportunity to interact with other people’s dogs and meet vendors, says Chief Human Resources Officer Nancy Long at Hitachi Data Systems in Santa Clara, Calif.
1. Don’t bring Fido in if you can’t rely on his good manners and housetraining. A dog who jumps up on clients, howls in the middle of a meeting, or takes a dump in the conference room won’t be an incentive for your employer to participate in future events. 2. Don’t bring Fido if he’s sick. If he has a contagious illness, other employees could unknowingly carry it home to their dogs. And a digestive disturbance could cause him to upchuck or have diarrhea. If he’ll be bow-wowing with other dogs, his vaccinations or titers should be up to date. 3. Don’t let Fido wander around off leash. You should know where he is at all times — and where he should be is under your control. Use a baby gate or other barrier to keep him confined. The biggest rule? “Enjoy the day,’” Long says.